Netanyahu speaks with Polish counterpart, the two agree to start a dialogue on bill outlawing references to Nazi death camps as Polish. Prime Minister Binyamin Netanyahu spoke on Sunday evening with Polish Prime Minister Mateusz Morawiecki. The two agreed to immediately start a dialogue between teams of the two countries in order to try to reach understandings on the controversial legislation passed in Poland over the weekend outlawing any reference to the Nazi death camps in the country as being Polish. Earlier on Sunday, Polish President Andrzej Duda said he would present his "final evaluation of procedural legal provisions after the completion of parliament's work and a careful analysis of the final shape of the act". Poland's parliament on Friday adopted the legislation which sets fines or a maximum three-year jail term for anyone who refers to Nazi German death camps as being Polish. 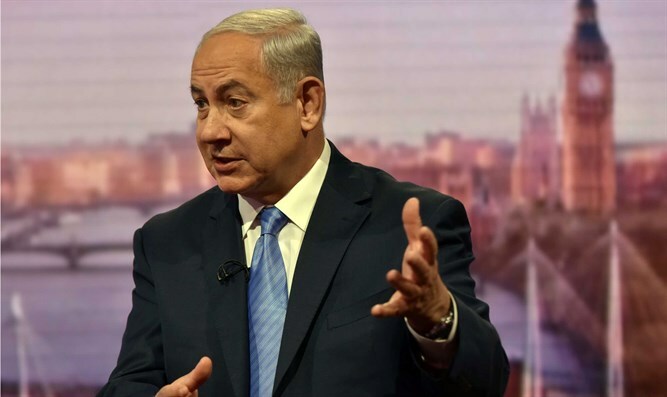 On Saturday, Netanyahu criticized the bill, saying, "The law is baseless; I strongly oppose it. One cannot change history and the Holocaust cannot be denied." Later, Morawiecki responded to the controversy on Twitter. “Auschwitz is the most bitter lesson on how evil ideologies can lead to hell on earth. Jews, Poles, and all victims should be guardians of the memory of all who were murdered by German Nazis. Auschwitz-Birkenau is not a Polish name, and Arbeit Macht Frei is not a Polish phrase,” he tweeted, in a reference to the German words posted on the camp's infamous wrought-iron gate that mean "Work makes you free".